Just chatting with the Governor. It started out like any other Monday, with me waking up and being way too tired to go to class. Classes were fine, as they always are, but my day really got exciting when about a dozen College Republicans and I went downtown to the famed Billy Goat Tavern to see Ohio Governor John Kasich. On the second day of school this year, another group of College Republicans and I went downtown to Portillo’s to meet him, and the highlight of that was definitely when he gave us all a group hug. The reason yesterday’s event is worth writing about is because of the format of the event. 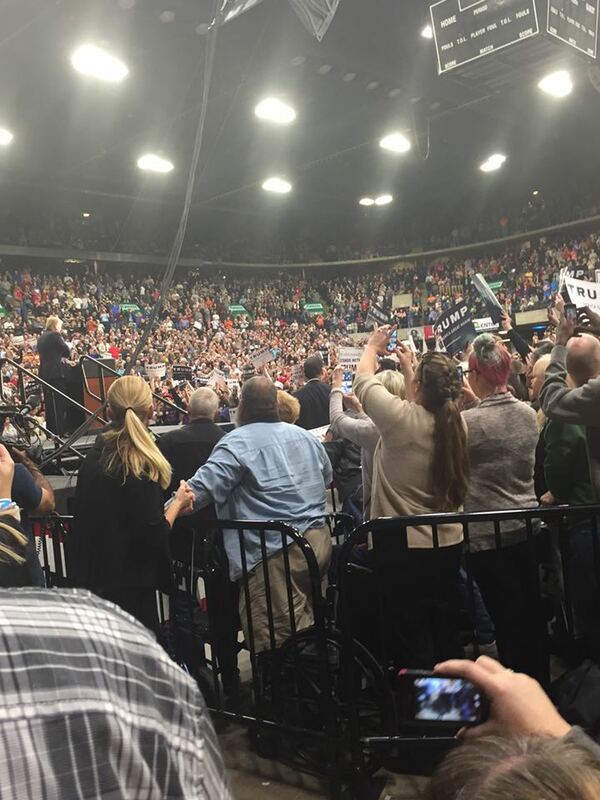 There weren’t too many people (as opposed to Donald Trump’s rally in Springfield, that two of our members went to simultaneously, braving the roughly six hour round trip to do so), and we were the rough majority of the young people at the event. 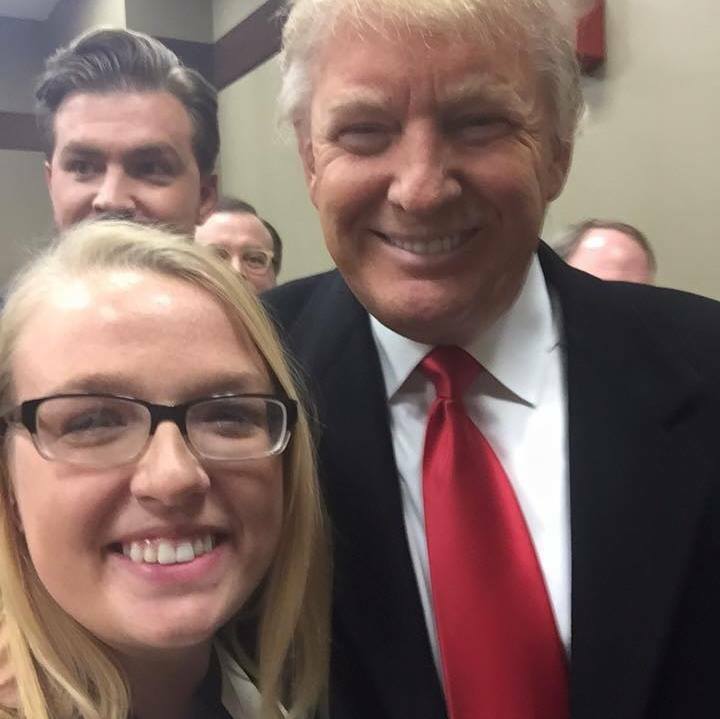 Here are some photos from the Trump rally, courtesy of two of our First Year Representatives, Chelsea Smith and Josh Parks. After Kasich was introduced, he gave his standard stump speech, and then focused on the ways that young people can make a difference. In case it isn’t obvious from what follows, I’ve always found him to be much more personable in person than his reputation seems to suggest at times. He proceeded to point to the kid next to me and ask him if he’s ever stood up for something. As I recall, the kid said yes, and then was asked what, and he had no answer. I’m not faulting him for not having something at the tip of his tongue. After all, it’s normally our job to ask presidential candidates questions, not the other way around. He told the kid he’d come back to him (which was a lie! He never did), and then turned to me and asked if I’ve ever stood up for something. You’ve got to change the world. You’ve got to believe the things that you can do can make a difference in the way this world works. 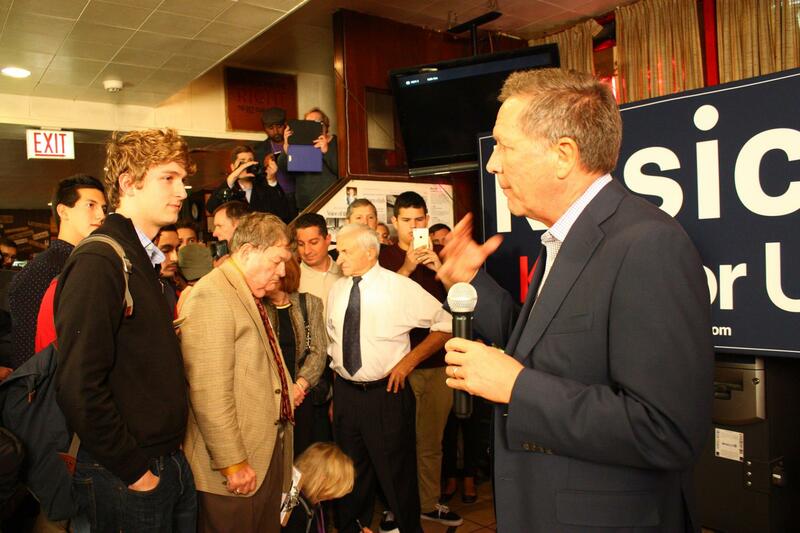 And this is not just a message for the people who are young,” Kasich said. “Together when we get more power, we’re going to have to take that power and we’re going to have to change things where we live, and I also believe we’re going to have to fight against those local institutions that also get in our way,” said the two-term governor who also is a former member of Congress. Kasich asked Matthew Foldi, president of the College Republicans at the University of Chicago, if the student had ever fought for something he believed in. “I was at an extremely anti-Israel rally in front of the White House. I was one of three people with Israeli flags in front of everyone, and they burned it,” Foldi told Kasich. 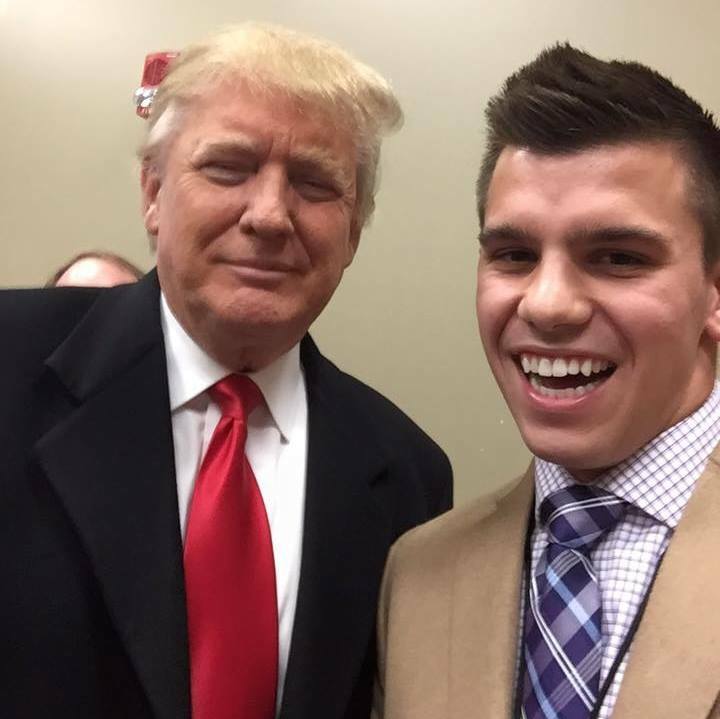 Later, Foldi said that while he appreciated meeting Kasich, he’s supporting Florida Sen. Marco Rubio for the GOP presidential nomination. For more information as to what I was talking about, feel free to read my piece in The Jerusalem Post. It’s not every day you get to answer a question from a presidential candidate and (according to my friends who were there), blow them away. After Kasich was done speaking, we all got pictures with him and went to Chipotle (which is the first time I’ve had it since school started! I have no idea how I’ve made it this far). 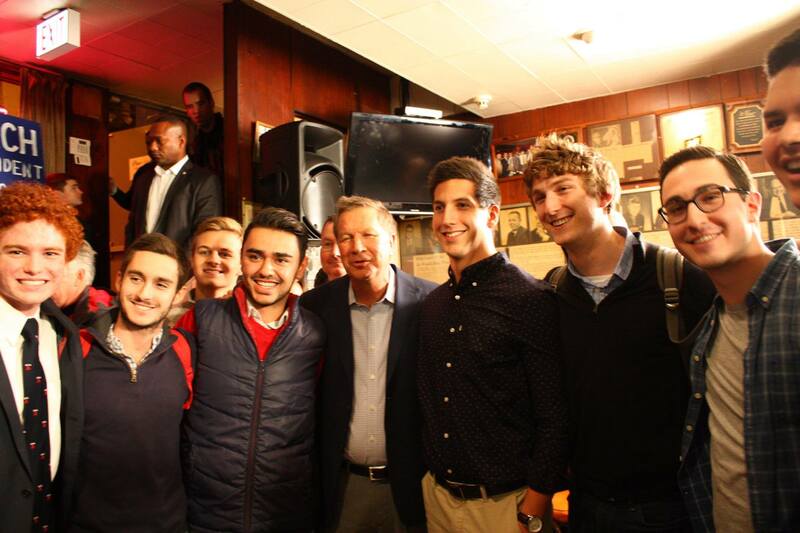 Some of our CRs with Kasich. Upon returning to campus, UChicago Friends of Israel hosted an extremely successful Israel information session, and then College Republicans had its first ever Monday meeting, where we talked about the ramifications of last Tuesday’s elections. Events like this show the successes that College Republicans have had this year, and help explain why we’re now trying to do two meetings a week, so if you’re at UChicago, know that we want you at CRs!